David will illustrate his talk with images he has captured while leading photo tours to locations throughout the United States and Southeast Asia, as well as some of his award-winning images of wildlife – along with explanations of what makes the difference between good, great, and award-winning images. David has been leading photo tours and safaris for over a decade, specializing in Southeast Asian peoples and culture, as well as North American and African wildlife and scenery. 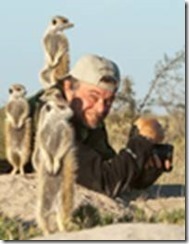 He has written about photography for Outdoor Photographer, Photoshop User, PC Magazine, and many other magazines and websites including Extremetech.com. He co-authored one of the first books on digital photography with colleague Moose Peterson, and has taught workshops for NANPA and DLWS. His image of an Alaskan Brown bear with cub won 1st place in the Mammals (Pro) category of the 2011 NWF photo contest, and his photo of Harris Hawks fighting won the NWF Grand Prize in 2012. 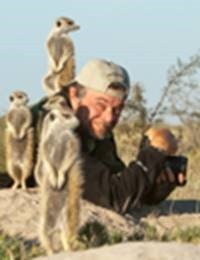 You can learn more about David and his photography and photo safaris to Southeast Asia (including Myanmar and Cambodia), Alaska and Texas, at cardinalphoto.com, or on his Facebook Page. This year, David will again be leading a travel photo tour to photograph the peoples and temples of Cambodia and Burma (Myanmar) in December, as well as the Brown Bears, Puffins and scenery in Alaska in July. Next year, he’ll be leading those trips and offering workshops to photograph the birds of Texas in the Hill Country and the Rio Grande Valley in May. David Cardinal is a veteran award-winning professional nature photographer who has led dozens of digital photo safaris over the last decade to Africa, Alaska, Southeast Asia, and around the USA. His work and articles on photography are frequently featured in national magazines including Outdoor Photographer, Photoshop User, PC Magazine and others, as well as in the commercial publications of his clients including the BBC, the US Fish and Wildlife Service, California Fish and Game, National Wildlife Federation, American Prairie Foundation, DxO, Datacolor, Lexar, Draper, Point Reyes Bird Observatory, and on the covers of books from Sybex and Peachpit. David is also a Datacolor Expert. David is leading another trip to photograph the peoples and temples of Cambodia and Burma (Myanmar) in December, and the birds of Texas in the Hill Country and the Rio Grande Valley in May next year, and the Brown Bears of Alaska in July. You can learn more about David at cardinalphoto.com, or follow him on Facebook or Twitter.